Shoto-Chi is a unique martial art that specializes in the realistic approach to conflict resolution through the understanding of human behaviour. 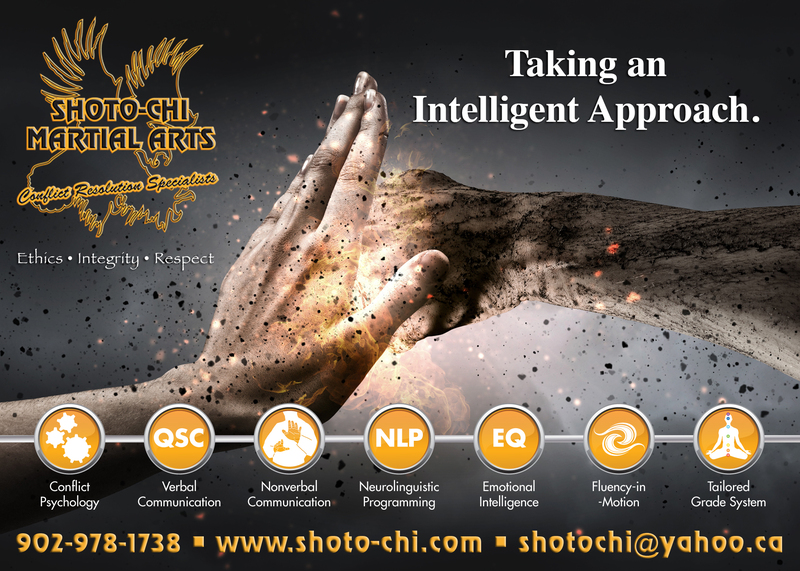 Through a tailored approach; the art teaches about conflict resolution through the understanding of psychology, the systematically developed QSC Strategy for Verbal Communication, Nonverbal Communication, Neurolinguistic Programming (NLP), Fluency-in-Motion & Emotional Intelligence (EQ). 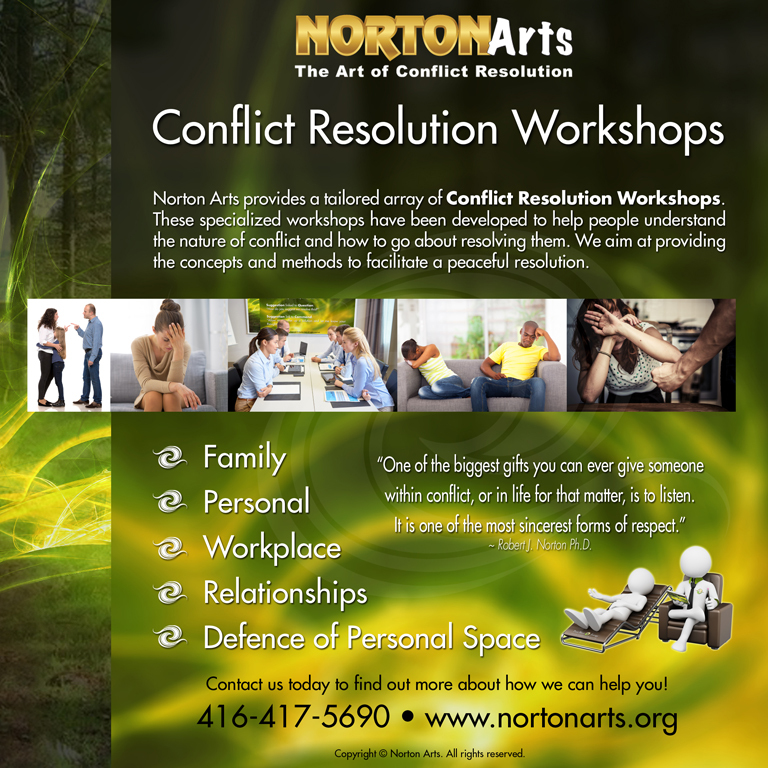 - Founder Rob Norton Ph.D.
Norton Arts provides a tailored array of Conflict Resolution Workshops for both personal and professional environments. Conflicts affect us all in a way that negatively impacts the harmony of relationships. Should those relationships be of a personal or professional nature, finding a peaceful and respectful resolution is of up most importance. Conflicts can be the direct result of many things. One thing is for sure; conflicts do not provide positive results. • Is your company not meeting it's financial goals or is productivity not where you think it should be? • Is your personal relationship being threatened by poor communication or a refusal to let go of the past? • Are you concerned for your physical safety when out in public? That's right, the new book Pine-Wave Energy: A Guide to Conflict Resolution is now available through Trafford Publishing and Amazon. 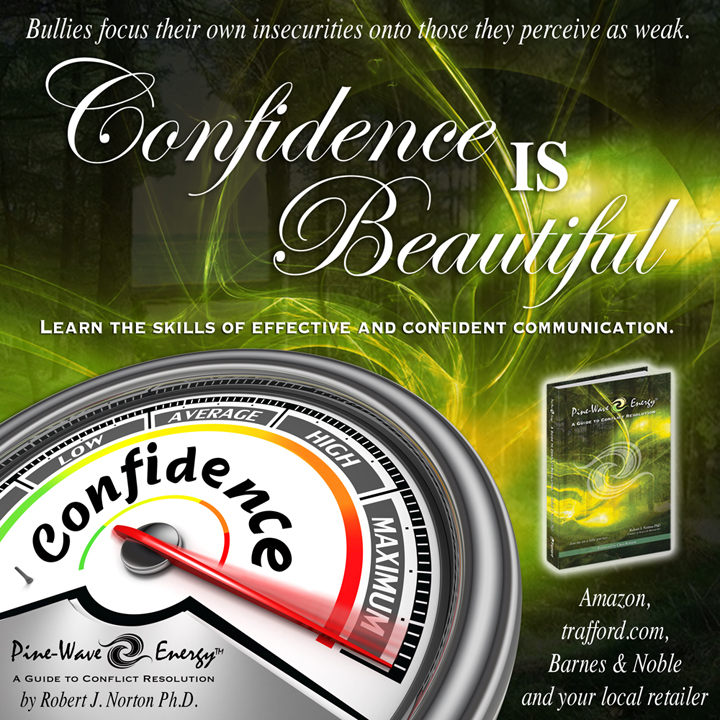 Get your copy today and start learning the true dynamics of understanding and resolving conflict in day-to-day life. Click here to visit the splash page for more details.